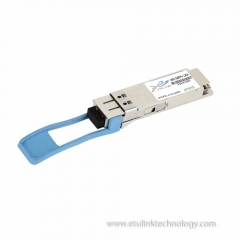 ETU-Link Technology CO ., LTD.
ETU-Link 100G CFP4 LR4 optical Transceiver integrates receiver and transmitter path on one module. In the transmit side, four lanes of serial data streams are recovered, retimed, and passed to four laser drivers. The laser drivers control four EMLs (Electric-absorption Modulated Lasers) with center wavelength of 1296 nm, 1300nm, 1305nm and 1309 nm. 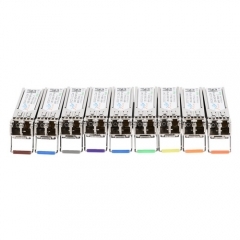 The optical signals are multiplexed to a single –mode fiber through an industry standard LC connector. In the receive side, the four lanes of optical data streams are optically de-multiplexed by the integrated optical de-multiplexer. Each data stream is recovered by a PIN photo-detector and trans-impedance amplifier, retimed. This module features a hot-pluggable electrical interface, low power consumption and MDIO management interface. 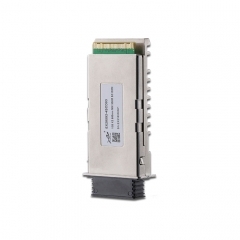 ETU-Link 10Gb/s X2 transceiver module EX2CxxX-4SCD40 is a hot pluggable in the Z-direction module that is usable in typical router line card applications, Storage, IP network and LAN and compliant to X2 MSA. The EX2CXX92-3SCD40 is a fully integrated 10.3Gbit/s optical transceiver module that consists of a 10.3Gbit/s optical transmitter and receiver, XAUI interface, Mux and De-mux with clock and data recovery (CDR).This version of ETU-LINK Inc. transceiver line uses an cooled CWDM EML Laser Diode to achieve 40km over standard single mode fiber as 10GBASE-ER of the IEEE 802.3ae. 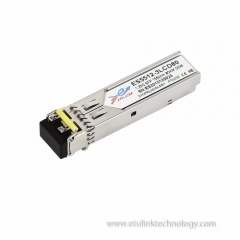 ETU-Link 10Gb/s XENPAK transceiver module EXPCxxX-4SCD40 is a hot pluggable in the Z-direction module that is usable in typical router line card applications, Storage, IP network and LAN and compliant to XENPAK MSA. 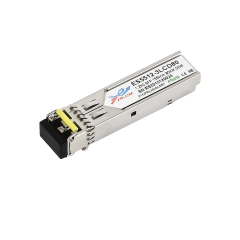 The EXPCxxX-4SCD40 is a fully integrated 10.3Gbit/s optical transceiver module that consists of a 10.3Gbit/s optical transmitter and receiver, XAUI interface, Mux and De-mux with clock and data recovery (CDR).This version of ETU-LINK Inc. transceiver line uses an cooled CWDM EML Laser Diode to achieve 40km over standard single mode fiber as 10GBASE-ER of the IEEE 802.3ae. 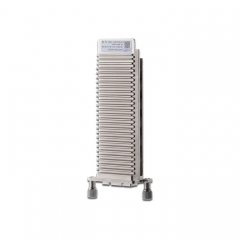 This is a MM module,the transmission rate is 155M and the wavelength is 850nm,maximum transmission distance is up to 0.5KM. This is a SM module,the Data-rate of 155Mbps operation and the wavelength is 1550nm,maximum transmission distance is up to 150KM. This is a SM module,the Data-rate of 1.25Gbps operation and the wavelength is 1550nm,maximum transmission distance is up to 110KM. 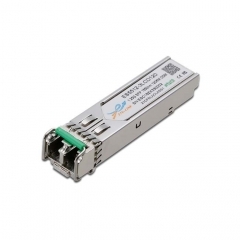 This is a SM module,the Data-rate of 2.67Gbps operation and the wavelength is 1528.77~1563.86nm, maximum transmission distance is up to 120KM. This is a SM module,the Data-rate of 1.25Gbps operation and the wavelength is 1528.77~1563.86nm,maximum transmission distance is up to 40KM. This is a SM module,the Data-rate of 4.25Gbps operation and the wavelength is 1270~1610nm,maximum transmission distance is up to 20KM.